Desain interior menggabungkan elemen-elemen lokal Bali dan modern. Memiliki ruang tamu, ruang makan, dapur kecil, shower taman dan kolam renang. The Sanyas Retreat menawarkan 10 villa-villa mewah di tengah hamparan sawah. Villa yang berdesain tradisional modern memberikan kenyamanan sekaligus kemewahan bagi tamu yang menginap.Tersedia Padi Restaurant yang menyajikan aneka masakan Indonesia dan Barat. Nikmati pijat tradisional dalam layanan villas. Sanya juga menyediakan kegiatan seperti; kelas memasak, pernikahan dan Bersepeda. Terletak di Tabanan, The Sanyas Retreat berjarak 20 menit dari Pura Tanah Lot. Akomodasi bintang 4 ini menawarkan villa-villa yang luas dengan fasilitas lengkap, mulai dari TV satelit layar datar hingga fasilitas membuat kopi/teh. Area tempat duduk dan perlengkapan mandi gratis juga disediakan. Selama menginap di The Sanyas Retreat, Anda bisa menikmati akses Wi-Fi gratis atau memanjakan diri di spa dan kolam renang outdoor. Staff yang sigap akan membantu Anda dengan layanan transportasi ke kawasan Bali Selatan maupun penyewaan mobil. 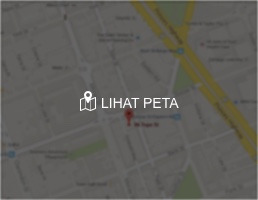 Untuk pilihan kuliner, Anda bisa menemukan restoran yang menawarkan menu Indonesia maupun internasional. Jangan lewatkan kesempatan mengunjungi Taman Kupu-Kupu dan Pura Batu Karu yang berjarak 30 menit berkendara dari The Sanyas Retreat. Sementara, Bandara Internasional Ngurah Rai dapat dicapai dengan berkendara selama 1,5 jam. This is a real calm peasful place, in absolutely non-tourist place in Tabanan. Comfortable vallas are in traditional balineese style (Jongle). Good services and very kindly staff, espesially Madi - who cleaned up our room and festooned with flowers our monkey-toy.)) You can ask for dreiver or bike in the reseption - to go around the place. 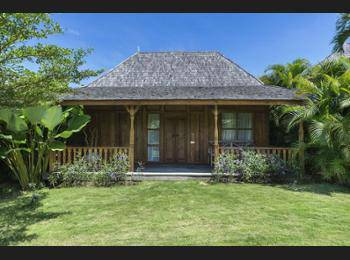 Or this is the best place for your individual practice - yoga, sport-gym, meditation. We were so lucky to find this place it was just what we needed on the end of our motorcycle tour of north bali, we stayed here before driving to Denpasar and didn’t want to get caught up in canggu and Kuta. The area is great there are Temples everywhere and a palace we enjoyed exploring the tranquil river and village where local culture is in full swing still untouched by tourists. We didn’t realise but there are two beaches 5 min scooter away that would be ideal for surfing and probably much quieter than the usual spots. It looked like it would shape up quite big! (We were there on Low tide) there is a warung and Surf board hire shop down there. The place itself was beautiful we had a comfortable bed, terrace with pretty garden so very private and the view from the pool was lovely rice fields. Food great and staff friendly. They have a bunch of villas and we were the only ones there so we felt like we had the whole place to ourselves. We would return for a country quiet Surf holiday for sure. This is probably my third or fourth time back to this location and the one thing that keeps bringing me back is Pande who is the front office staff. Everytime we stay, we are closely welcomed by everyone, but especially Pande and treated like we are family. The Sanyas Retreat makes for a relaxing stay just to sit by the pool and forget about the rat race around you. 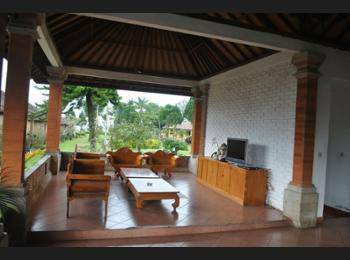 They have different styles of accommodation ranging from Joglo to small cottage. I would recommend requesting the Joglo style. Breakfast is a selection of american, continental or Indonesian breakfast which is ordered the night before. Unfortunately given the location there is no chef on hand and any meals need to be ordered three hours before so the chef can be called up from their sister property in Seminyak. I didn't find this an issue, but I wasn't expecting 5 star restaurant quality either. You can always venture out to the Tabanan night markets or local markets for a bite to eat. They have a spa on site as well and you can request a balinese massage or there are bicycles to utilise if you want to go exploring. What makes this place are the staff. I have been to many other villas and most of the time the genuiness and service do not compare to the experience felt at Sanyas Retreat. This really feels like family when you stay. 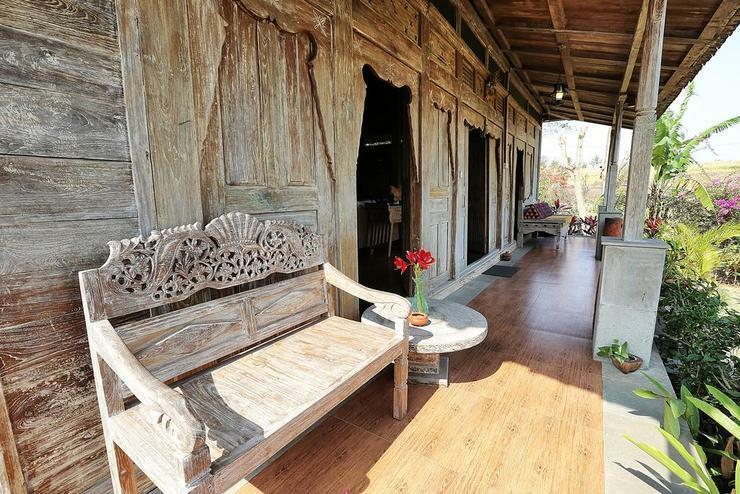 Try something different to the hustle and bustle of Kuta and Ubud. 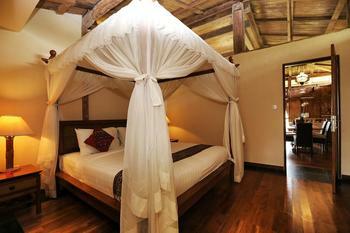 Sanyas Retreat located in the heart of tranquil rice terrace. A truly perfect retreat for the weekend! The view was fantastic and the villa was clean, with a nice bathtub, greeny garden and superb staff. The food was great but since they cooked it out of the house, you have to order at least 3 hours prior. 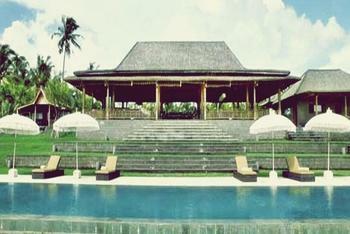 This was the first hotel we stayed at during our holiday, we picked it since all the villa's are in Balinese style. Very friendly staff, nice and spacious villa. Great infinity pool from which you can see rice terraces! As it was our first encounter with Bali, we were very pleased with mr Nyoman's help! He was so kind, always ready to drive us around to the best spots for dining or to any temple worth a visit, giving us good advice and help. 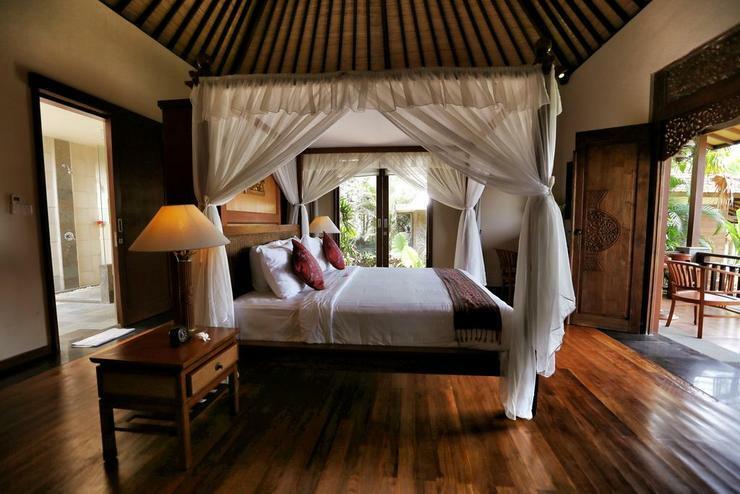 We were very happy with our stay here and would recommend it to anyone who might be looking for an authentic, peaceful place amidst Balinese nature.